Whether you're hitting the road for a family trip or headed to the big game, the Bag allows you to take it all with you. When space is limited, storing can be a bit of a challenge. It can increase vehicle cargo space without impeding on passenger comfort. The Cargo carrier bag saves you money and space! Our cargo bags are easy to fill, easy to tie down, easy to remove and store. The cargo bags are meant to withstand the elements - wind, snow, and rain - so nothing gets in the way of a good time. All zippers are protected with rain flaps. 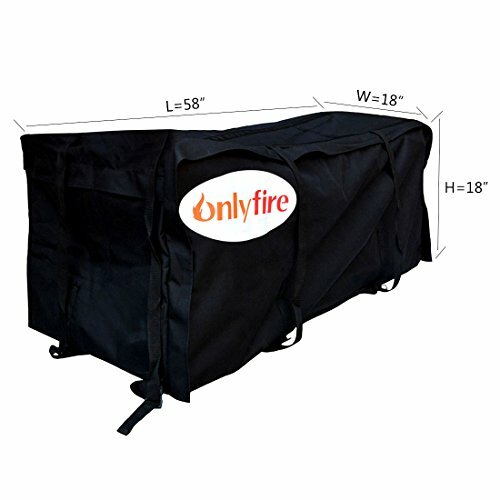 If you have any questions about this product by onlyfire, contact us by completing and submitting the form below. If you are looking for a specif part number, please include it with your message.